Both American actor and rapper, Donald Glover aka Childish Gambino, as well as Barbadian singer and actress, Rihanna, are in a film that has been a complete secret, until now. 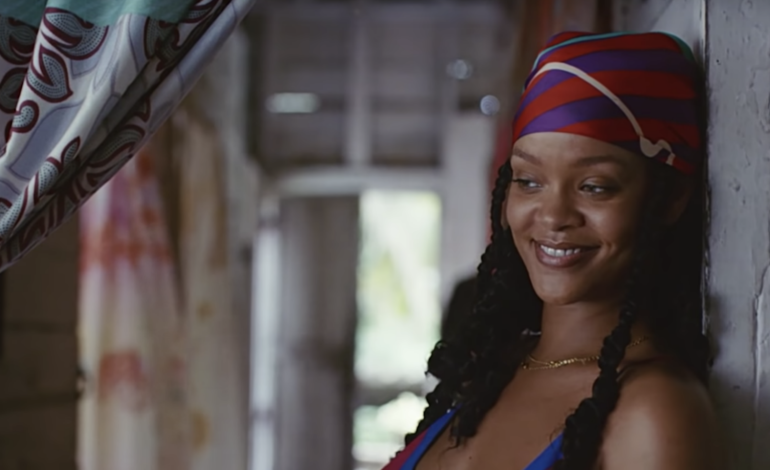 The project, named Guava Island, has been acquired by Amazon Studios to stream through Amazon Prime Video. Guava Island started production late last year and has kept all information pertaining to it under wraps. Recently, a flux of small advertisements announced that the film will release on Prime Video for streaming through social media sites like Twitter and Instagram. The ads have second-long clips from the film pieced together. The project is directed by Japanese-American filmmaker, Hiro Murai, who has worked as director and producer of Glover’s television show, Atlanta, and directed the music videos for some his songs, such as This Is America. The script was written by Donald Glover’s brother, Stephen Glover, who also worked on Atlanta. Alongside Glover and Rihanna star Guyanese-born British actress, Letitia Wright (Black Panther, Ready Player One), and British-Nigerian actor, Nonso Anozie (Game of Thrones, Ender’s Game). Guava Island will be available on Prime Video on April 13 and can be streamed here for free within the first 18 hours after its release.